We are in no way advocating drinking and biking. Helllll no. What is ok though, is riding your bike to the party and then calling a car to pick you and your bike up to get home. 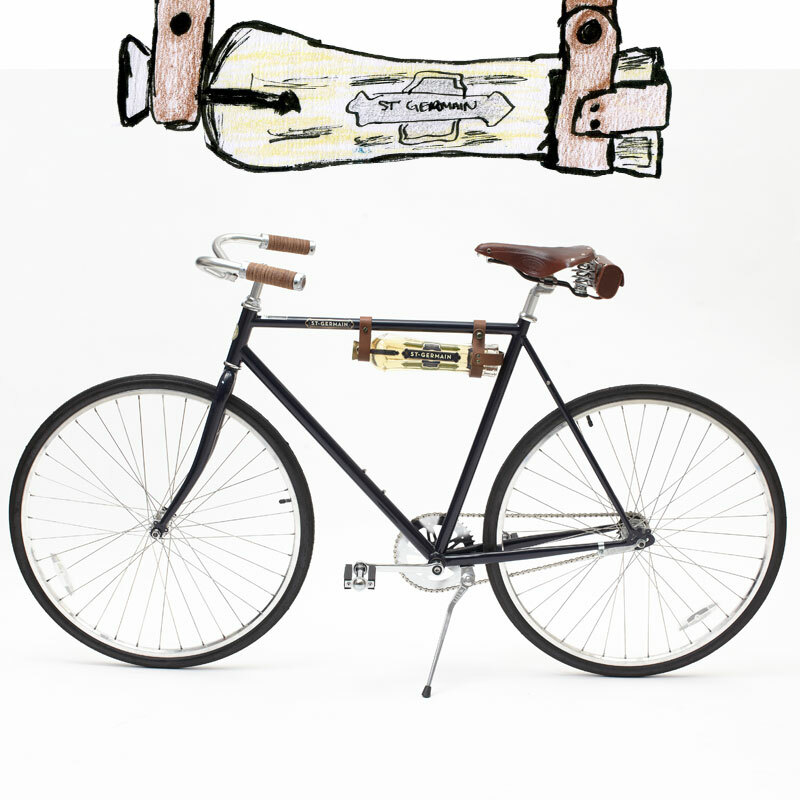 In the spirit of biking and partying, elderflower liqueur St Germain has released a beautiful custom bike, complete with Brooks leather bottle holder (natch) so that bottle of delicious St Germain is in one piece when you show up at whatever fete you’re attending. Hold up though, why is St Germain doing bikes now? Well you see, in the French Alps, the farmers who pick the elderflowers travel by bicycle. That’s why. Meanwhile, here’s a recipe for a drink called The Byrne Identity we had created specially for our launch earlier this year. We asked for “something with St Germain in it” and this is what we got. It’s so good!